If you’re about to start your first year at university, and you’re feeling unsure and nervous, then you’ve got plenty of company. Most new students feel that way, though not all of them show it. This is a re-post of the first in a short series of articles for people in your situation, about key information that should make your life easier. This article is about roles at university. The American cartoon below summarises them pretty accurately. 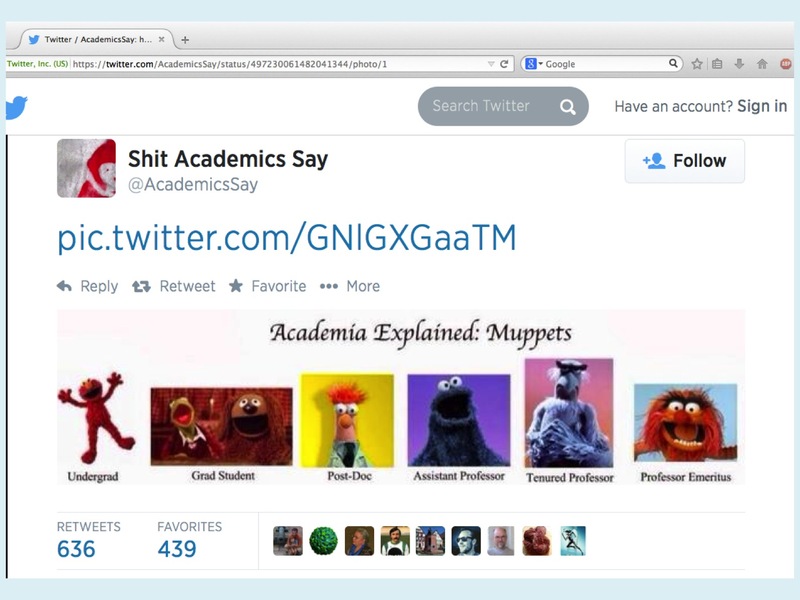 So what are the roles other than “Elmo the undergrad” and how are they likely to affect you? Post-docs are next up the food chain. They already have their PhD, and they’re working on a research project until they can land a job further up the food chain. You might see post-docs around the department, but you probably won’t have much direct contact with them. Tenured professor: The image says it all; lofty, often scary figures who give the strong impression of wisdom beyond mortal imagining. That impression is often true. Professor emeritus: Again, the image is all too accurate. Emeritus professors often have ideas so strange that ordinary humans wonder whether they’re brilliant or completely divorced from reality. I make no comment on this. The other articles in this series cover the main sources of confusion for students, including useful information that would be easy to miss otherwise, but that can make your life much better. I hope you find them useful.